Give MX4 Small Group Training a Try at Bronson Wellness Center. No matter your age or fitness level, MX4 Small Group Training offers you the safe, effective workouts that will help you reach your fitness goals. 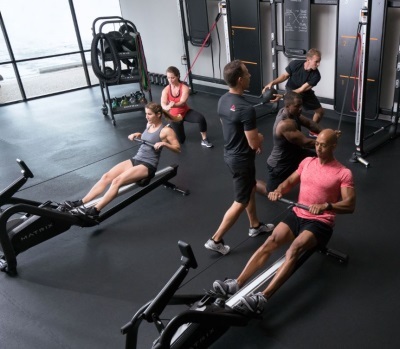 Challenging, progressive workouts are designed to help you improve cardiovascular health, and build power, strength and endurance.Learn more. MONDAY, March 11, 2019 -- Has your hectic lifestyle turned you into someone who gulps down meals? MONDAY, Feb. 18, 2019 -- A large, new study has uncovered 24 genetic variations that help separate the apple-shaped people from the pear-shaped ones. MONDAY, March 4, 2019 -- Your metabolism rate determines how fast you burn calories, and that can influence how fast you lose weight -- and how easily you can gain it. After age 25, metabolism naturally slows by 5 percent every decade. So if you eat as much in your 40s as you did in your 20s, you're going to add extra pounds -- especially if you exercise less and lose muscle. In addition to weight training to maintain muscle, these tips from the American Council on Exercise can help. WEDNESDAY, Jan. 23, 2019 -- Candy dishes, cupcakes and cookies abound in the typical office, so if you're striving to eat healthy, the workplace can be a culinary minefield. THURSDAY, Jan. 24, 2019 -- While some people fight the "battle of the bulge" for a lifetime, others seem to effortlessly stay slim. And now scientists say it all boils down to genetics. WEDNESDAY, Jan. 30, 2019 -- For years, you've probably heard that breakfast is the most important meal of the day if you're trying to maintain a healthy weight. But new research suggests that's not true.